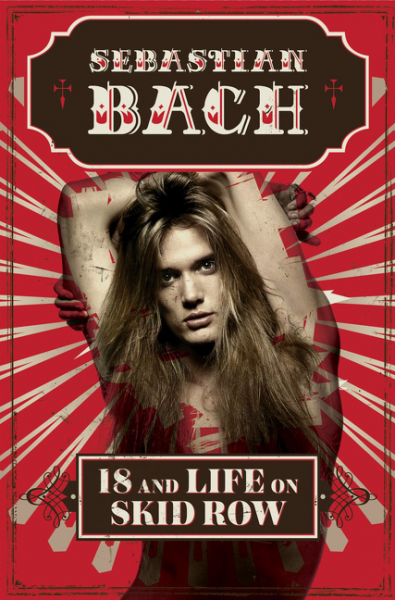 Sebastian Bach has announced dates for a book-signing tour to launch his autobiography, "18 And Life On Skid Row." Due December 6 via HarperCollins imprint Dey Street Books, the project is billed as an “uncensored, unfiltered memoir” as the former front man for Skid Row tells the story of his life and times – from joining Kid Wikked at 14 to selling more than 20 million albums with Skid Row to building a successful solo career. From growing up in The Bahamas and small-town Canada to the world’s concert stages, “18 And Life On Skid Row” presents Bach’s life story in his own words. Bach will launch a 10-date book-signing tour in Huntington, NY on December 5, with appearances scheduled to December 17 in Las Vegas, NV. Originally set for a January release, the project moved to an April and then June timeline before being delayed to the fall as Bach expanded the material for the book. "18 And Life On Skid Row"
Book Revue - 7:00 p.m.
Word Bookstore @ ST. VITUS - 7:30 p.m.
Barnes & Noble - 7:00 p.m.
Anderson's Bookshop - 7:00 p.m.
Schuler's Books & Music - 7:00 p.m.
Left Bank Books - 6:30 p.m.
Changing Hands - 7:00 p.m.
Amoeba Music - 5:00 p.m.
Hard Rock Hotel @ Goose Island Pub - 9:00 p.m.